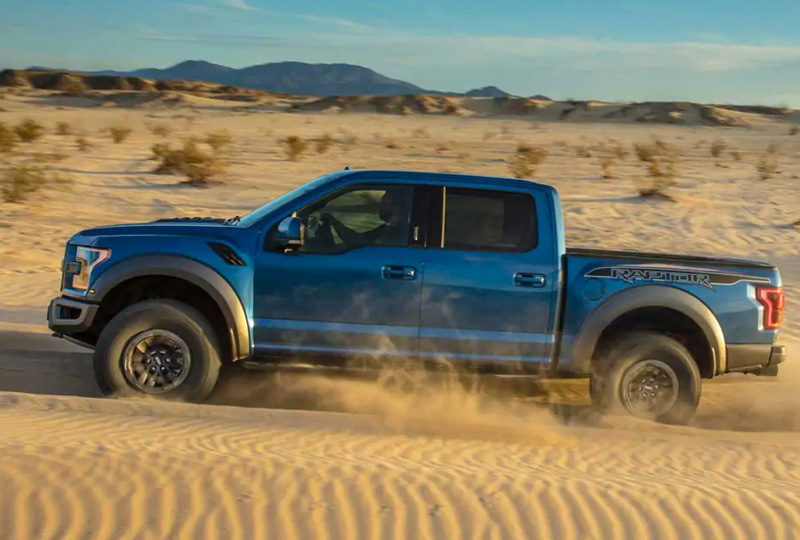 The 2019 Ford F-150 Raptor for sale at Pompano Ford in Pompano Beach, FL, close to Fort Lauderdale and Deerfield Beach, brings exciting off-road features in a premium pickup truck. Look under the hood and you'll find a high-output twin-turbo 3.5L EcoBoost® V6 engine with 450 horsepower and 510 lb.-ft. of torque. 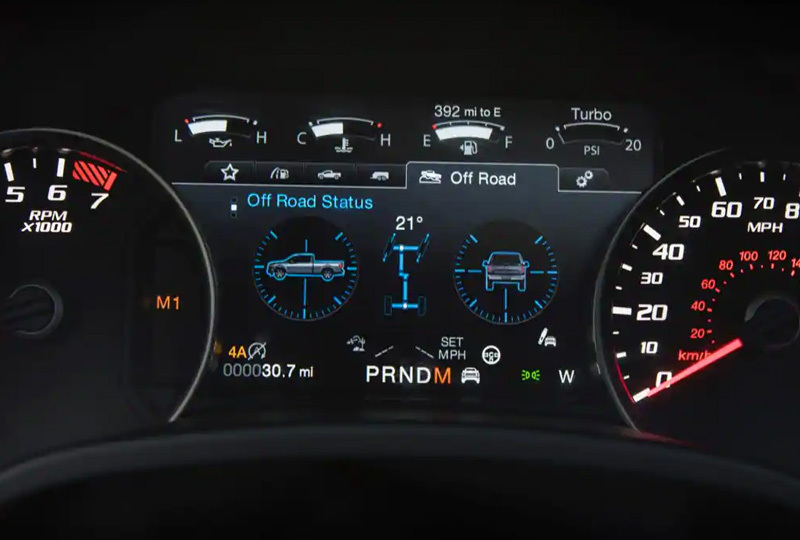 The electronic 10-speed automatic transmission comes with tow/haul mode, but the true fun lies in the Terrain Management System™ with six selectable drive modes and Trail Control™ system for off-road cruise control on rugged terrain so you can focus on steering. 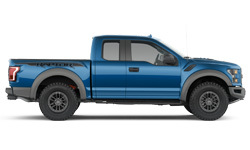 The high-strength, military-grade aluminum alloy body brings form and function, especially when you consider the 17-inch cast aluminum wheels with high-gloss machined faces and BFGoodrich® KO2 all-terrain tires. Opt for available beadlock-capable wheels with lower psi to take on rocky surfaces and other challenging terrain. Heavy-duty front and engine skid plates assist in protecting the underbody when you hit the trails. Wherever you drive, as many as five passengers will enjoy cloth-trimmed or optional perforated, leather-upholstered seating surfaces. Available RECARO® front seats provide enhanced bolstering, meaning you can conquer even the roughest surfaces with comfort. On every journey, heads will turn at the distinct FORD block letter grille and aggressive flared front fenders with air extractors. Pompano Ford has one of the top Ford inventories in our area. New models are always on display and new auto loan rates are lower than ever. Visit the showroom located at 2741 North Federal Highway, Pompano Beach, FL, for your test drive. 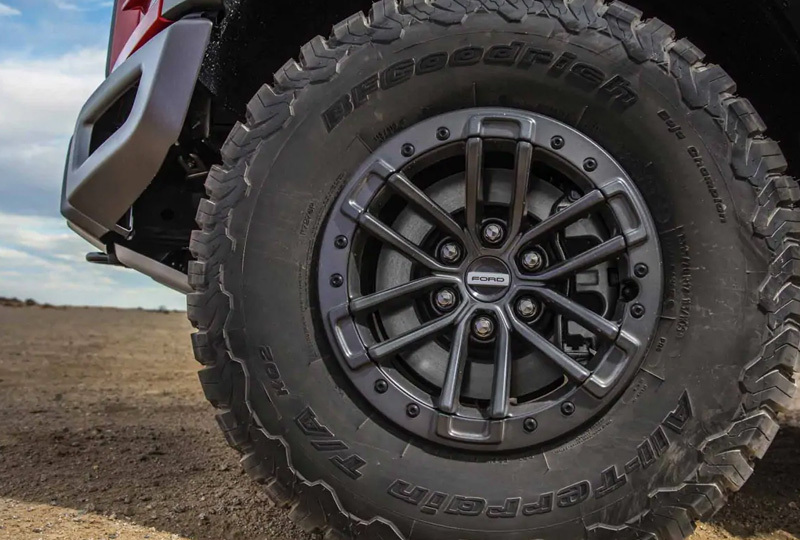 Designed to allow you to air down the tires to a low psi for added traction when you're rock crawling or covering challenging terrain. The lower psi, however, increases the risk of the tire bead popping off the wheel - hence beadlocking. The tires are literally clamped to the wheels. The available 8" LCD productivity screen provides useful information from fuel economy to towing data, all right in front of you. 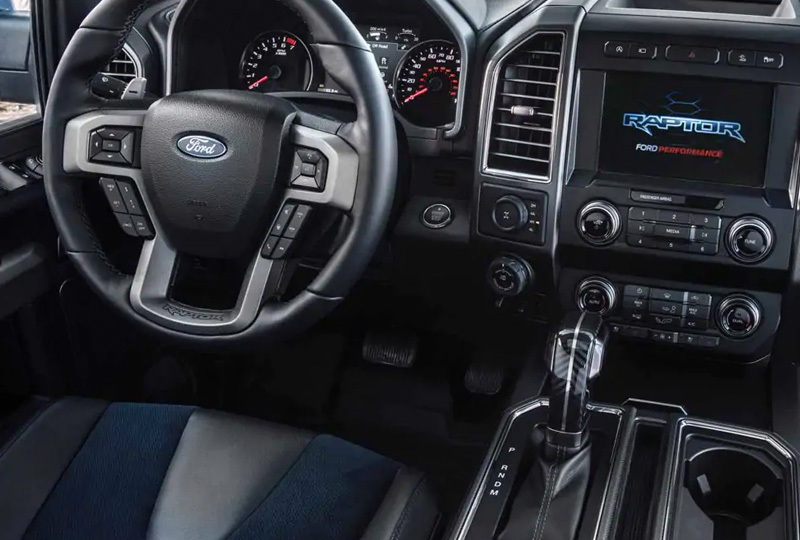 You can create a customized home screen, giving you the newest in Ford technology, right at your fingertips. * Manufacturer's Suggested Retail Price (also referred to as "MSRP", "Base MSRP", "Base Price" or the "Starting At" price), excludes destination/delivery charge, taxes, title, license, and registration and/or electronic filing fees, dealer fees, and total of options. When equipped with available Ford Performance Beadlock Ring kit.